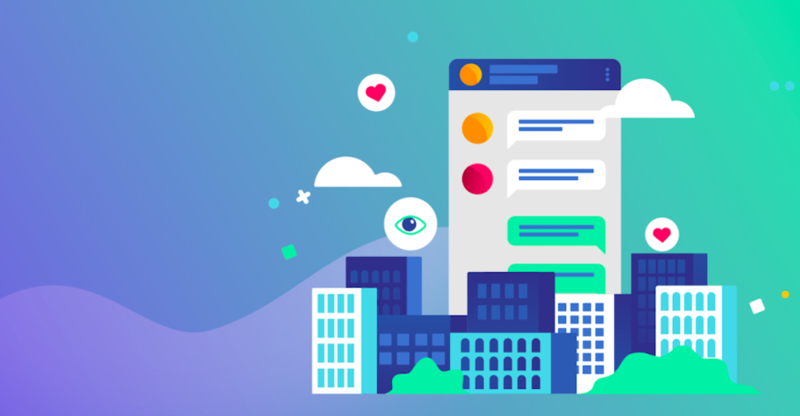 Messaging apps have been a hot topic lately since statistics emerged that showed how messaging apps have 20% more monthly active users than social networking apps and have become the primary method of communication for people globally. Snapchat, one of the messaging app industry’s greatest success stories seemed to have mastered their in-app UX and monetization so well that there would be no stopping their tremendous growth. But after a single Tweet from reality star Kylie Jenner and a barrage of complaints from other celebrities and users, Snap’s stock prices plummeted by 6 percent – an estimated loss of between $1.3 billion and $1.6 billion in market value. It has been widely speculated, thanks to a leaked metrics report that the update was driven by attempts to appease Wall Street and increase Snapchat’s ability to monetize through branded content. So what lessons can be gleaned from Snapchat’s $1.3 billion monetization blunder? How can messaging apps monetize their apps without being detrimental to the user experience and driving away their hard-earned users? Here’s 5 easy tips to monetize your messaging app and retain your users. Start thinking about monetization during the design phase of your app. Ad Monetization isn’t for everyone, but if you decide to offer ad space in your app, you should start thinking about this right at the beginning so you can decide on strategic ad placementand incorporate that into the design of your app. Choosing the right ad space in your app can increase visibility and performance of the ad unit as advertisers are more likely to bid higher on apps that have a high viewability score. With messaging apps, it’s important to choose placements and ad formats that don’t disrupt the user experience. You’ll want your ads to appear in a prominent area within the app but should consider leveraging ad formats that don’t disrupt the user flow. No one wants their private messages with their friends and family to be disrupted by a full-screen interstitial. Native ads and banner ads are a great way to preserve the messaging experience whilst still offering a unique opportunity for advertisers to get their products in front of a highly-engaged audience. Besides just the placement of your ads, you should also be conscious of the timing to avoid a poor user experience. Limiting the number of ads per user session or ‘frequency capping’, asit is known can help to maintain the effectiveness of the ads shown and create more positive associations between the advertiser and user. With in-app advertising revenues expected to surpass 117 billion US dollars by 2020, it’s easy to see why publishers would want to show as many ads as possible to grow their revenue but in actual fact, reducing the number of ads per user session reduces banner blindness and can increase the value of your ads. You can perfect the timing of your ads by identifying natural breaks in your messaging app. A great time to serve an interstitial or video ad would be when the user returns to the home screen after sending a message or when they click on your app’s Discover page. With the recent shift in the industry from install to more engagement based metrics, advertisers will be looking for information about your users to determine if the audience is right for them. The more you know about your audience, the more opportunities advertisers have to deliver a relevant and personalized ad experience to your users resulting in more conversions. This has the added benefit of preserving the user experience of your app. For example, if your messaging app is targeted at young, international people to keep in contact with their friends and family, advertisers of travel apps could benefit from access to your unique audience. The same goes for the location of your app’s audience. For many advertisers looking to target specific regions, knowing the location of your audience is extremely valuable information and can help you get the best price for your inventory. If you want to really scale your monetization strategy and maximize your revenue, you’re going to need to diversify your advertising partner portfolio. As mentioned in point 3, certain advertisers and demand partners will be looking for specific inventory and thus will perform differently based on how their target demographics align with your available inventory. The Mobile Advertising Landscape is complex, with hundreds of ad networks and DSPs to choose from so working with an exchange can be a huge asset. Working with an exchange like PubNative can give you access to integrated and managed demand from a wide array of DSPs, ad networks and direct advertisers which will reduce your workload and ensure you get the highest fill rate possible. One obvious, but surprisingly overlooked tactic to ensure user friendly monetization is to simply ask your chat app users for their feedback. Find some suitable channels whether it be the App Store or via email to gather your users’ feedback on your app so you can understand their point of view. Understanding how your users interact with your app and how they feel about the ads they are seeing is extremely valuable information and essential in optimizing your monetization strategy and improving your app’s functionality. Your users will also appreciate you asking for their feedback – so long as they can see positive changes in your next update! The more you know about your audience, the more opportunities advertisers have to deliver a relevant ad experience to your users.